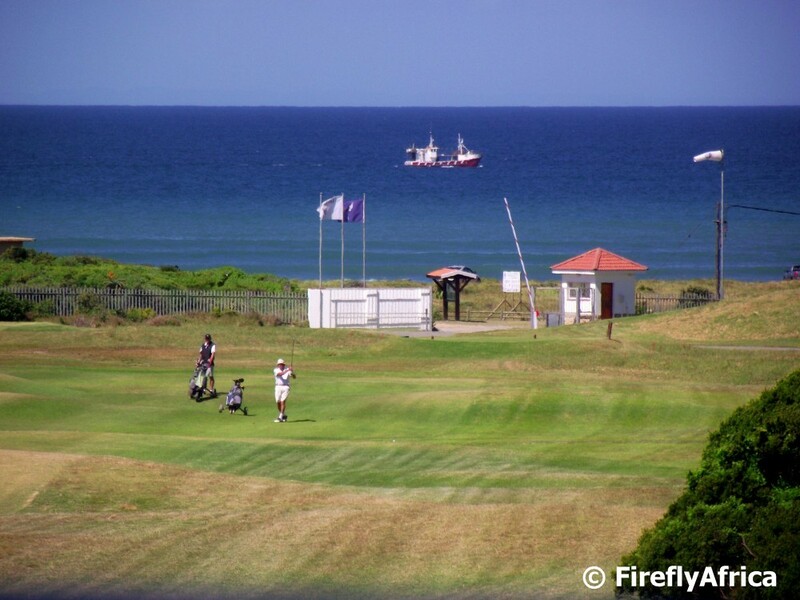 We are really fortunate to have a true links golf course in the Humewood Golf Club right here in Port Elizabeth. This I realised again when I had to go to a meetings at the club and stood on the balcony watching a couple of guys on the 18th fairway while a fishing boat passed in the background. 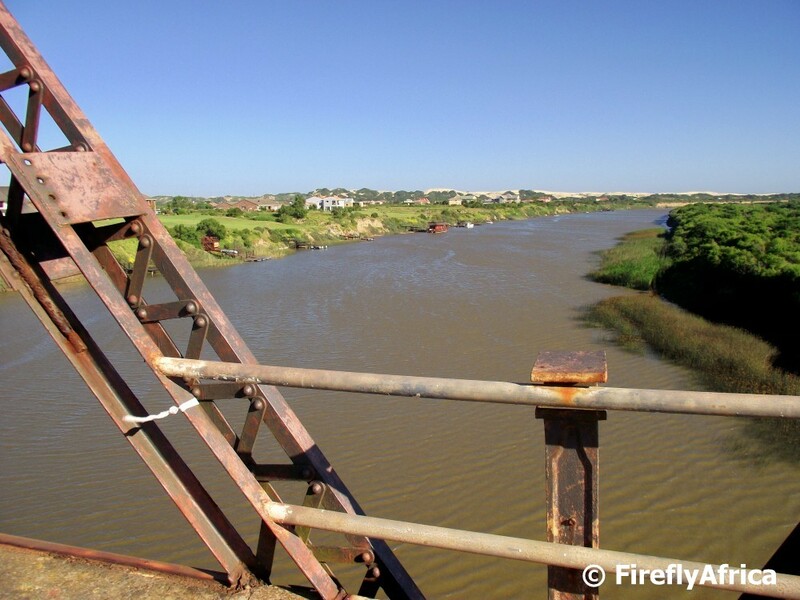 With all the recent flooding in and around Port Elizabeth all the rivers in the area came down in flood. The Maitland River which is normally nothing more than a trickle was no different and the aftermath can still clearly be seen at the river mouth with debris lying all over the show. You can also see how wide the river ran into the sea when it flooded. Work on the new 5 star Boardwalk Hotel and the Nelson Mandela Bay International Convention Centre is at an advanced state with the opening date of 14 December approaching fast. I got a preview of the convention centre a week or so ago and its looking stunning. Another new feature at the Boardwalk after the opening will be a multi media fountain in the Boardwalk lake. The fountain's mechanics arrived not to long ago and they are busy installing it with folk walking through getting a taste of what's to come every time they test it. The beautiful old Victorian Railway Station in Port Elizabeth has existed on the present location since 1875 when the first line was constructed to Uitenhage about 40 kilometres away. The original building was designed by the then Resident Engineer of Harbour and Public Works in Port Elizabeth, James Bisset, with extensive additions, including the cast-iron supported roof of the main concourse, being completed by 1893. 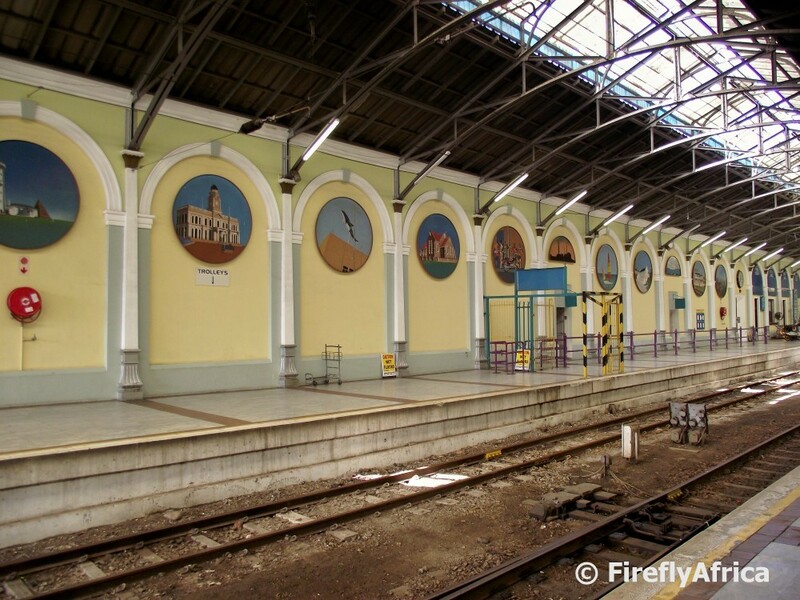 The round painted panels depicting scenes from the city were painted by Bernard Horn in the late 1980's. 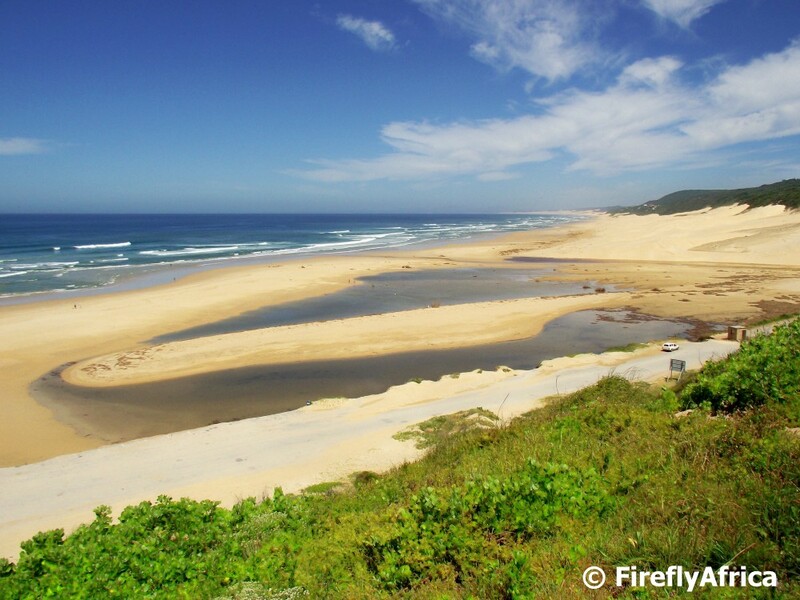 Addo Elephant National Park is looking stunning after all the rain the area had during winter and spring. The veld is green with swaths of yellow flowers and purple fygies while there are a lot young animals about as well. Unfortunately my visit was a quick one for business so I didn't have time to take a nice leisurely drive through the park. Hopefully I'll get that chance again soon. 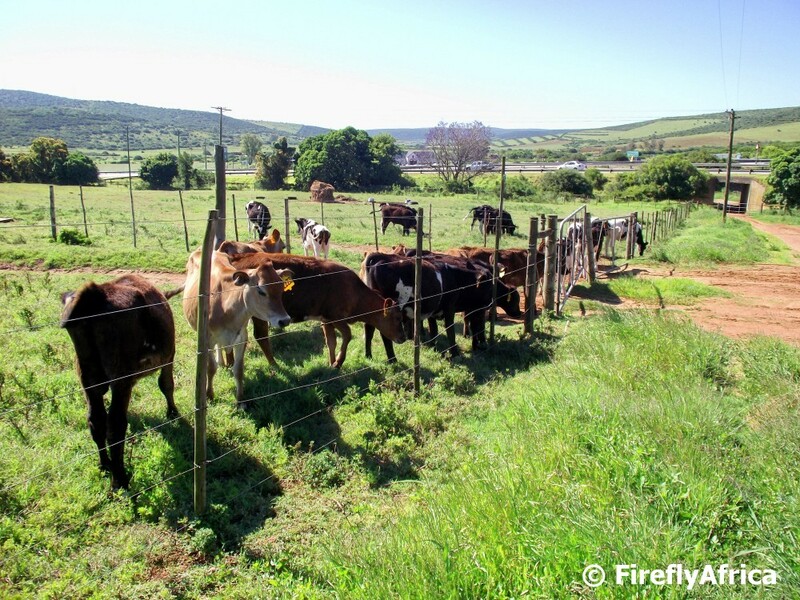 The area around Nanaga and eastwards is one of the biggest dairy producing districts in the province. These calves will one day form part of the milk producing herds at Nanaga Dairy Farm. 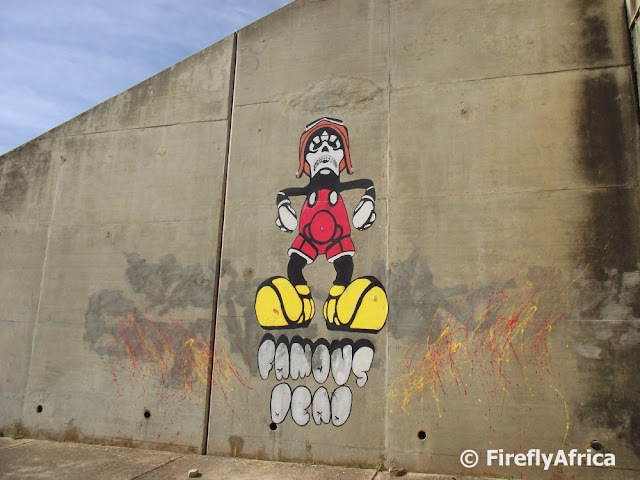 This rather angry looking, Mickey Mouse dress-a-like (and going by the description is also famously dead) character sits on the side of the Settles Freeway close to its end in South End. I've Googled and surfed the net a bit but couldn't find anything remotely related to him so I have no idea who or what he is. 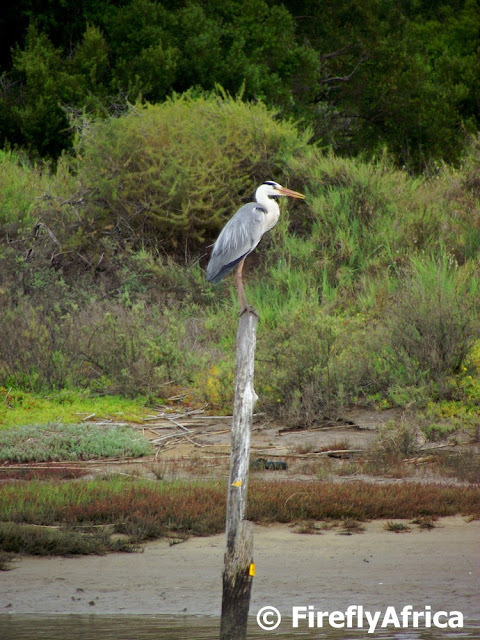 The banks of the Sundays River is home to a huge variety of birds ranging from herons and kingfishers to waders and bee eaters. Amongst the herons are Black headed herons, Goliath herons and Grey herons, like the one sitting on top of the pole in the picture. Yesterday's photo of the Sundays River was taken from the Mackay Bridge which was opened on 5 March 1895. 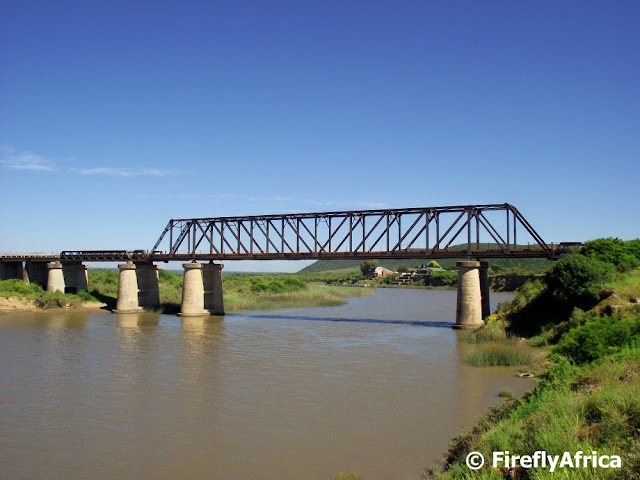 The Colchester area was a very busy spot in the mid 1800s and early 1900s, as it had the only pont over the Sundays River on the main road between Port Elizabeth and Grahamstown. In 1874 the original pont washed away and they started looking at plans to build a bridge. 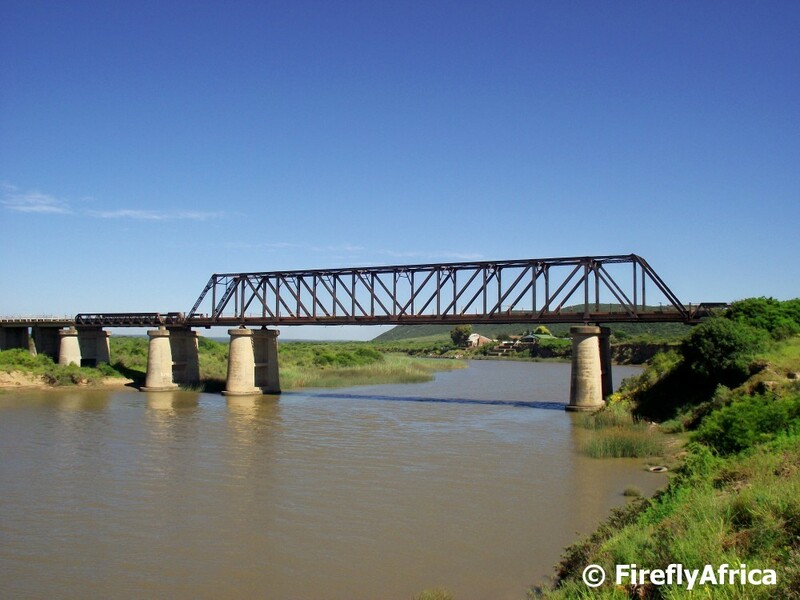 This bridge was constructed entirely of steel and iron brought all the way from Sheffield in England and was named in honour of John Mackay who's efforts resulted in its construction. Unfortunately the bridge is closed to traffic although you can walk across it. 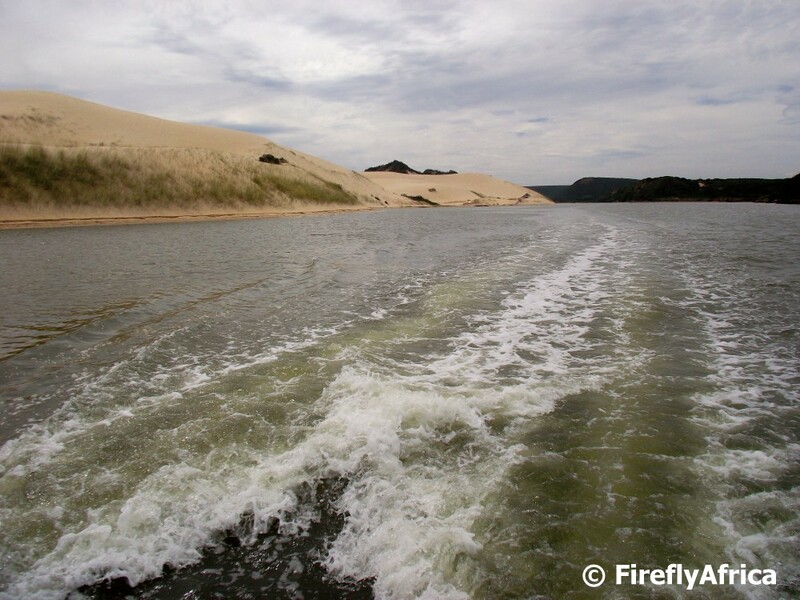 The Sundays River is said to be the fastest flowing river in the country. The Khoisan people originally named the river Nukakamma (Grassy Water) because the river's banks are always green and grassy despite the arid terrain that it runs through. 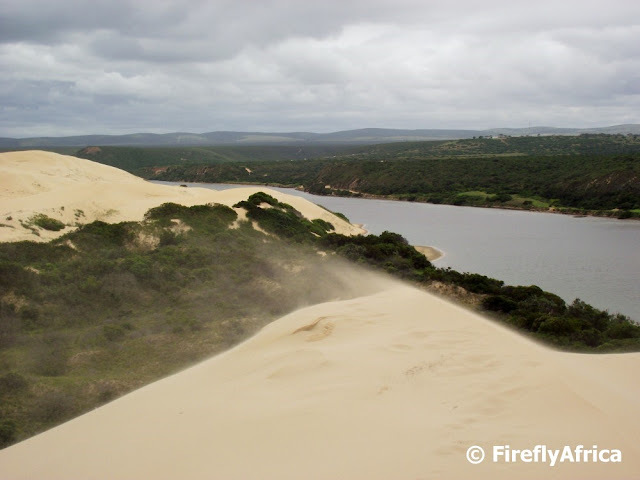 The picture was taking from the Mackay Bridge looking towards Cannonville with the sand dunes in the background. 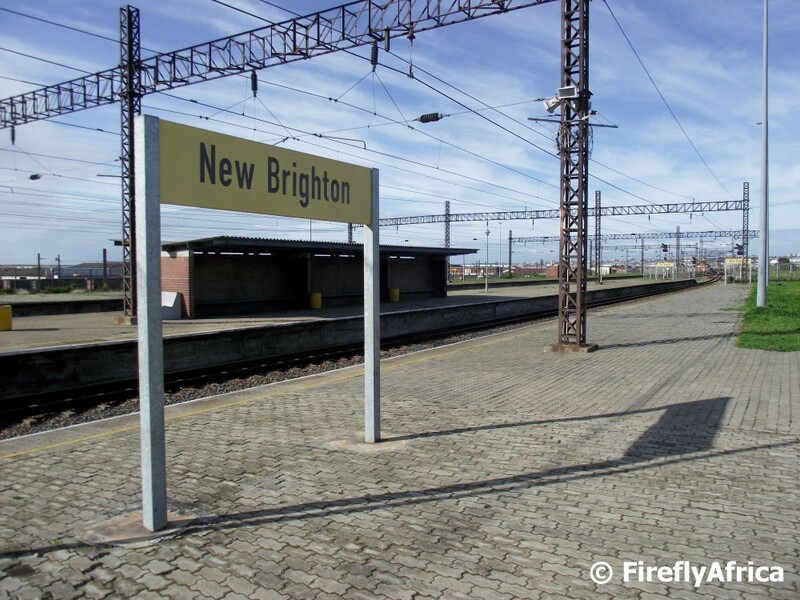 As the main railway station in the townships, the New Brighton Station saw a lot of action during the apartheid years. Visiting the station today you can still see the railing that divided the bridge across the rail into "Europeans Only" and "Blacks Only" sections. 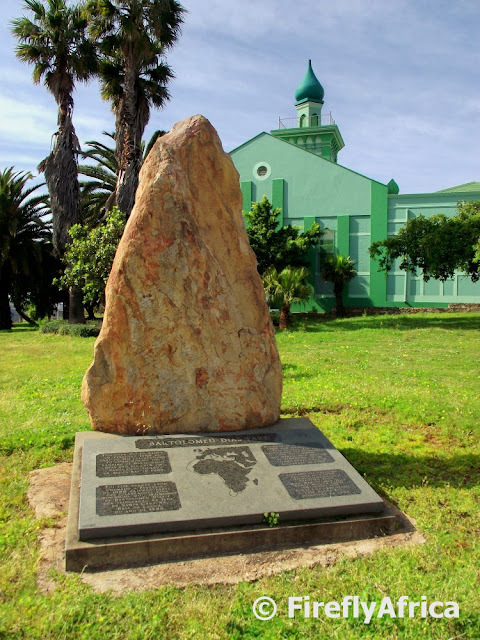 On 26 June 1952, the volunteers for the Defiance Campaign which was due to start the next day, camped at the New Brighton Civic Centre and proceeded in the wee hours of morning to the station where they arrived at 5am. On their arrival they found the police waiting for them but still proceeded to enter the “Europeans Only” section of the station. This provoked the police to arrest them and by 6:30am they were all in police vans on their way to prison. 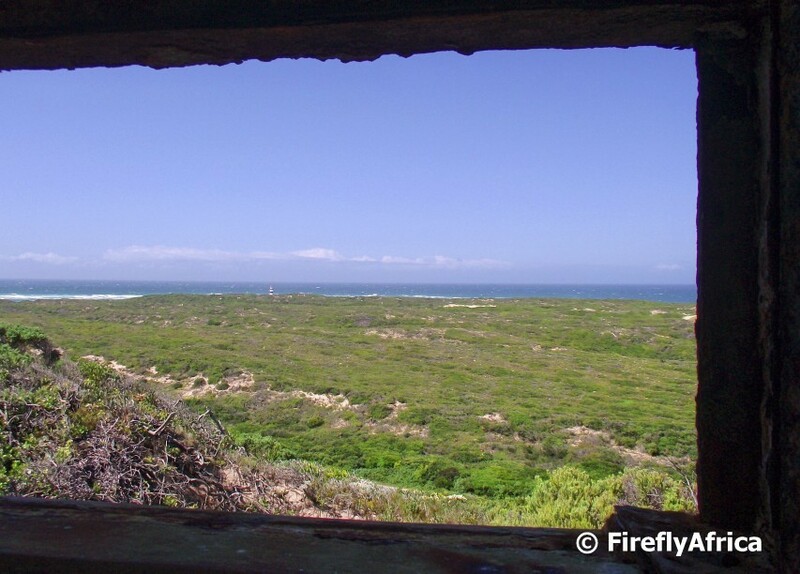 Another one of the views from the WWII Forward Observation Post at Cape Recife, this time looking south towards the Wildside. The ruins of the original WWII barracks are visible just below the FOP. The Baakens River is still flowing nice and strong after all the recent rains. This is the view upstream from the 3rd Avenue dip. 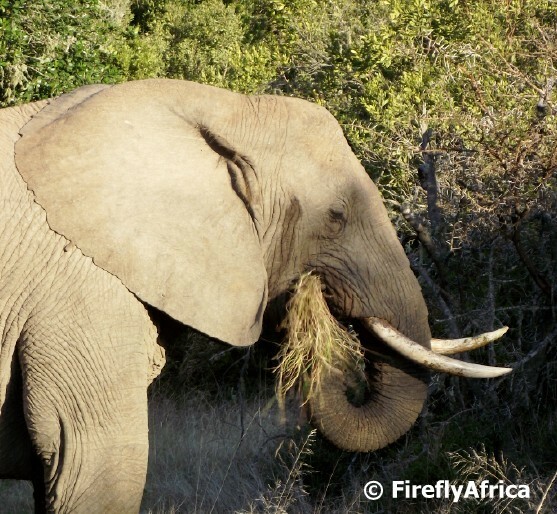 An elephant at Pumba Game Reserve chomping away on his breakfast, brunch, lunch, afternoon snack, dinner. I can't really remember what time I took the photo but it doesn't really matter because to elephants life is one big buffet. 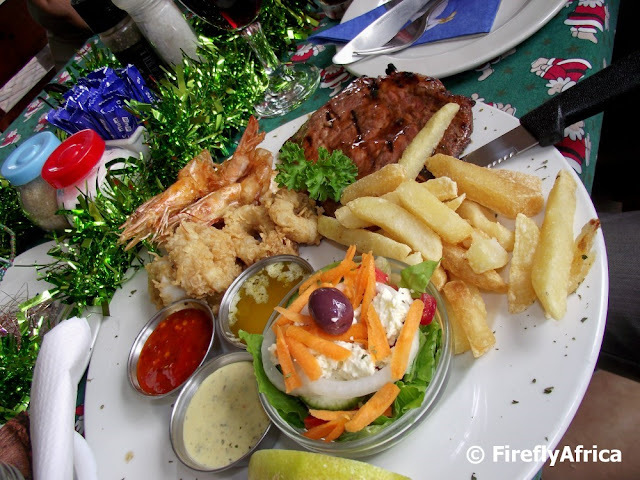 The area across the road from Brookes-on-the-Bay in Humewood has over the years established itself as an informal craft market with a number of stalls having sprung up there. Although the crafts are traditional African crafts, most of it gets brought here from elsewhere. Elsewhere being mostly up north from Zimbabwe. Although the crafts aren't "local", its very popular with international visitors as it's still African crafts they can take home with them. 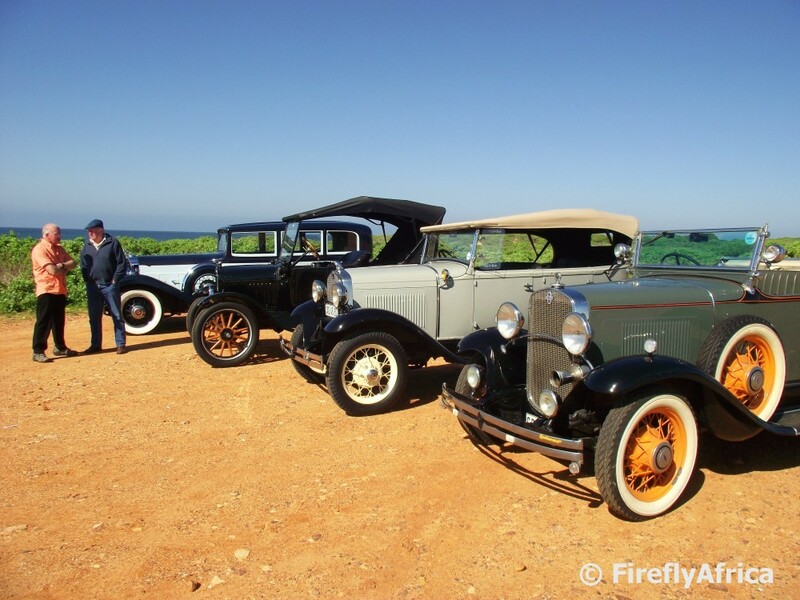 On the first Sunday of the month families with young children (mostly but definitively not exclusively) flock to the Port Elizabeth Model Locomotive Society's venue in Fernglen to ride these beautiful little trains. 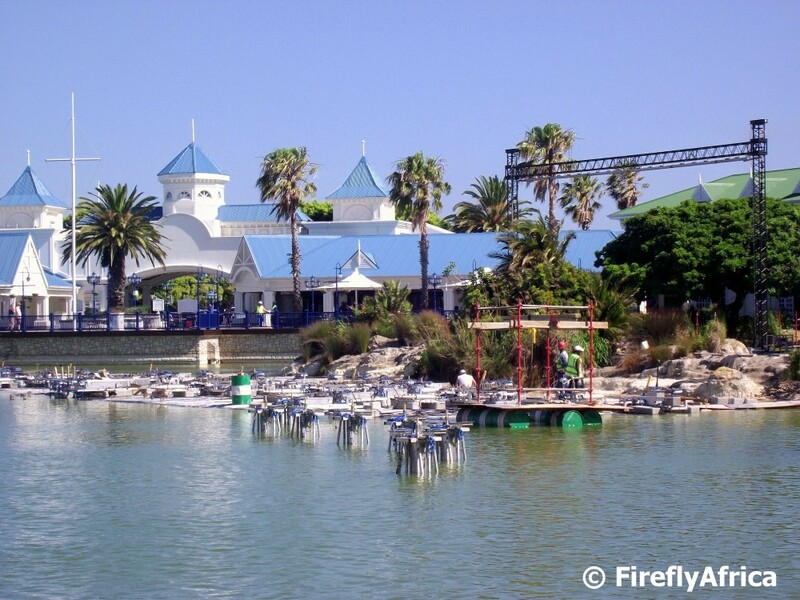 It only costs R6 per person for a ride which will take you around the yard on a couple of loops, through a tunnel and over the Great Grass River bridge. 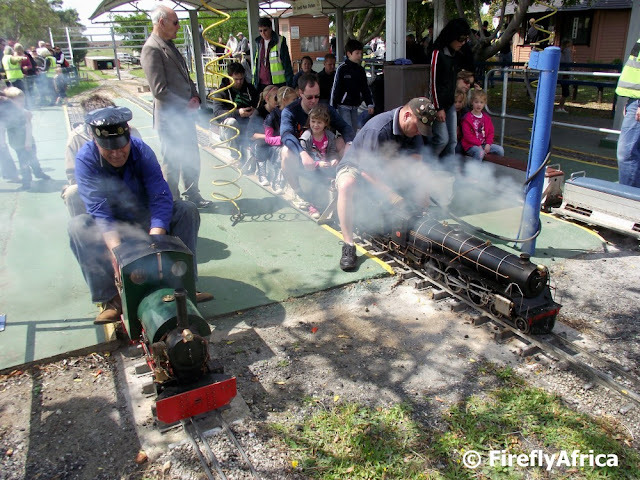 There are both miniature diesel as well as steam trains and here two of the steam loco's are taking on passengers and getting ready for a spin. Sand blowing on top of the sand dunes at Colchester. Wind or no wind, its still an awesome view from up there. 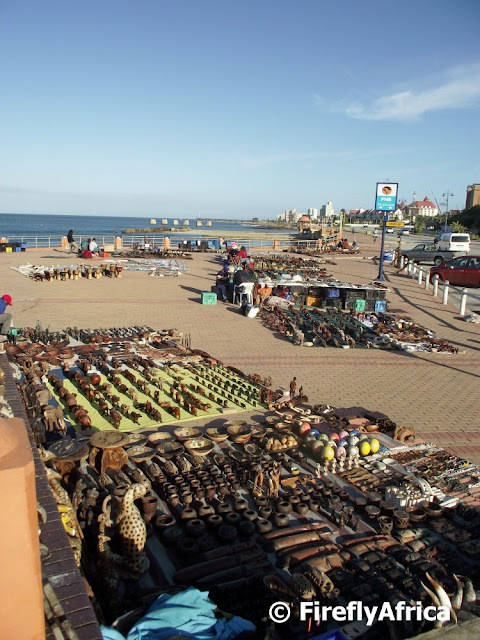 Port Elizabeth has arguably the most complete collection of surviving coast artillery buildings and equipment dating from the Second World War (1939-45) of any port in South Africa. 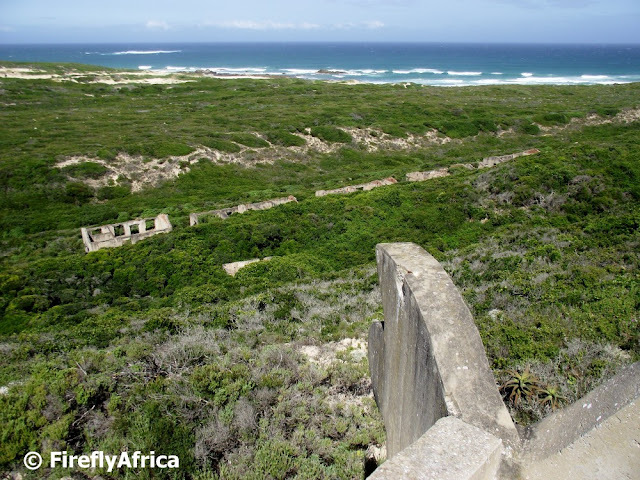 Before the Second World War the Port Elizabeth Harbour actually had no defence in place except for Fort Frederick which was built in 1799 to guard the original landing place in the early days long before a harbour was even built. In 1942 it was decided to put harbour defences in place at all South Africa's harbours. Three Fortress Observation Posts (FOPs) were built at Amsterdam Hoek (Bluewater Bay), Seahill (Cape Recife) and Skoenmakerskop, together with a Port War Signal Station next to Cape Recife lighthouse. These three along with the Algoa Battery building in Humewood and the Battery Observation Post on Brookes Hill had to keep a constant lookout for approaching ships, submarines and planes. 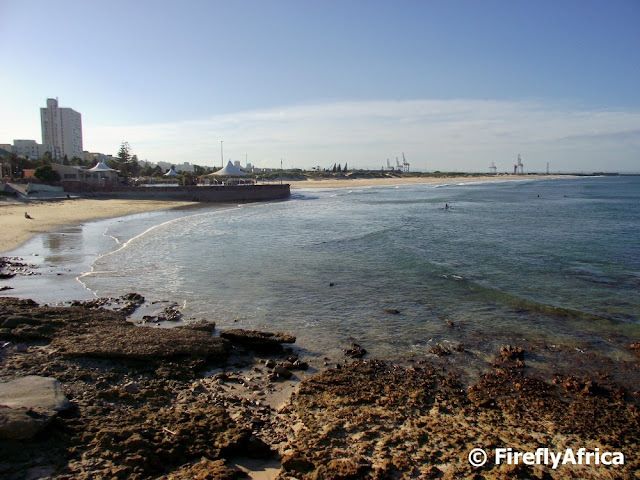 The buildings were all constructed with curvy, free-form profile of parapets, angle buttresses and 'fins' to break up their square, box-like shapes when seen from the sea against the background of the bush. 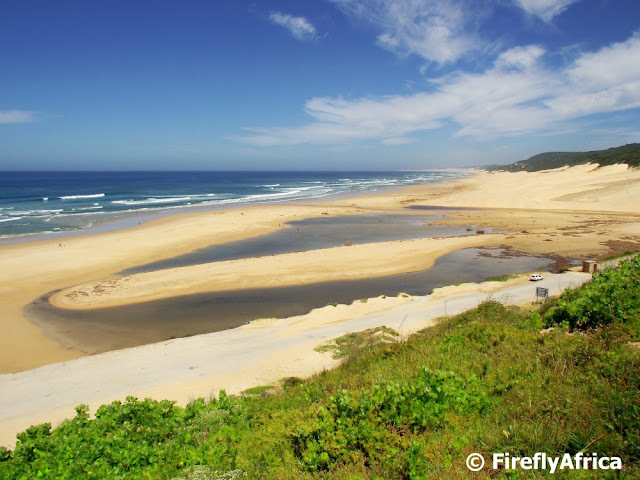 The FOP in picture is the one in Cape Recife which can be visit while doing the Roseate Tern Trail through the reserve. Visit the South African Military History Society website for a lot more detailed information on this. 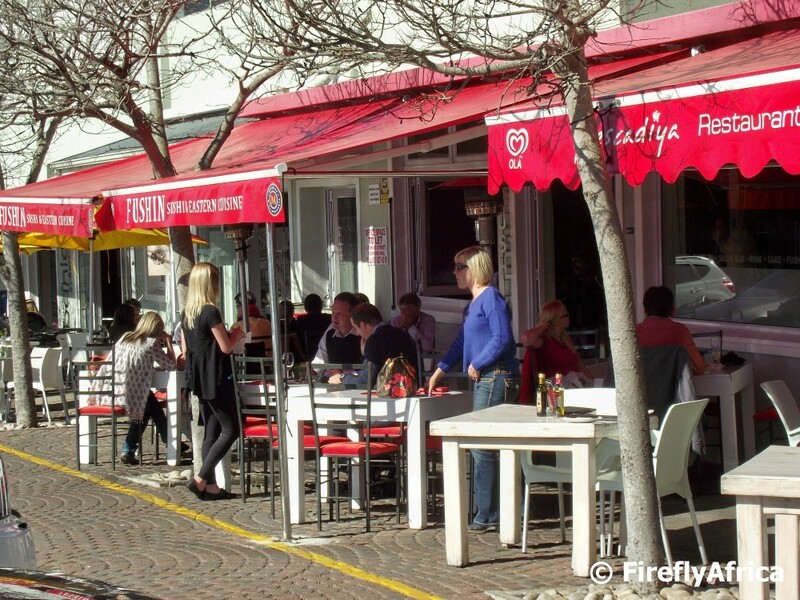 With summer knocking and the weather getting better a good option for lunch or dinner is one of the Richmond Hill restaurants offering outside seating. Since the revitalisation of Richmond Hill has started a number of very good restaurants, coffee shops and other establishments have opened in the area making it one of the best spots in town to get a bite to eat. I wonder how many Port Elizabethans know that the grass area next to the Green Mosque in South End is called Bartholomeo Dias Park. Perhaps you didn't know it but have seen the stone with the granite plaque? The plaque contains the information of Dias' voyage. After a couple of wet months (as I've said before, 2012 has been the wettest non flood year on record) it finally seems that summer is starting to slowly muscle its way into our lives. Although its not totally in the door yet, the days are starting to warm up very nicely and people are heading back to the beach front more and more. Even I went for a run on the beachfront walkway the other afternoon. The less said about that though the better. During the recent flooding Port Elizabeth endured the road at the 3rd Avenue Dip was damaged which led to its closure. This in turn led to major traffic disruptions on the William Moffet Expressway, specially during morning traffic. The Damselfly uses the Dip to get to both her work and the Kidz's school and her regular 20 minute drive took her over an hour with the road closure. On Sunday I took a walk down to the low water bridge to have a look at the damage. From the looks of it the contractors were well on their way with the repair job and surprisingly yesterday (Tuesday) it was reopened. 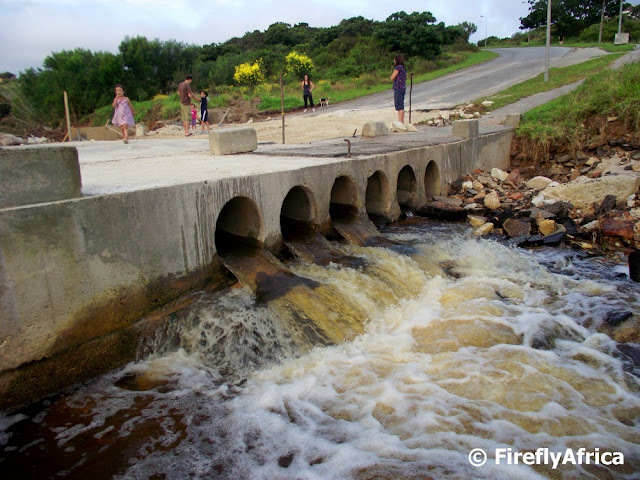 What an awesome job done by the municipality to get done so quickly. 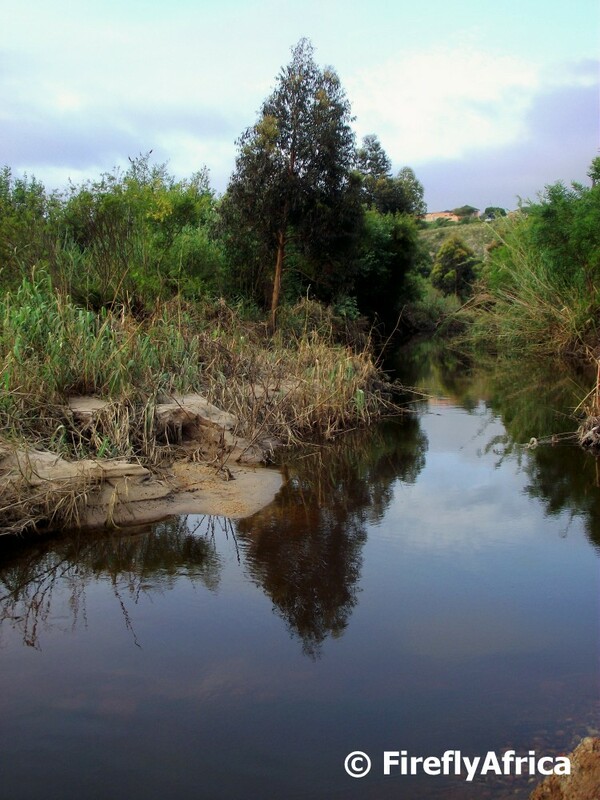 In the picture you can also see that the Baakens River is still running very strong as well. 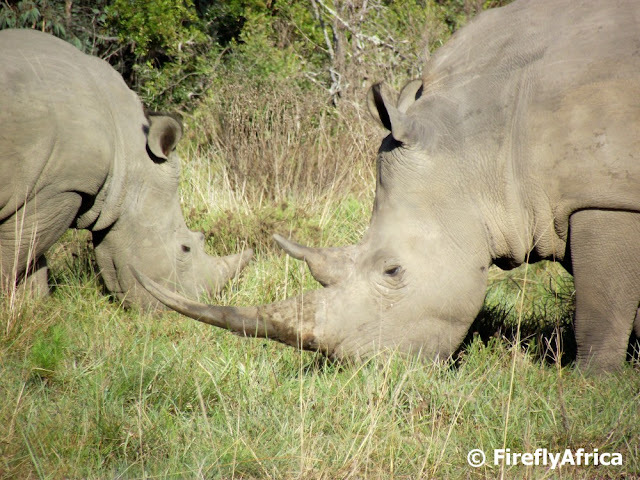 After a spate of poaching incidents the total number of rhino's killed in 2012 for their horns have now topped 500. A very sad state situation and if this doesn't stop quickly then my (future - cause I'm not that old) grandchildren would never one day get the opportunity to see rhino in the wild... or even at all. 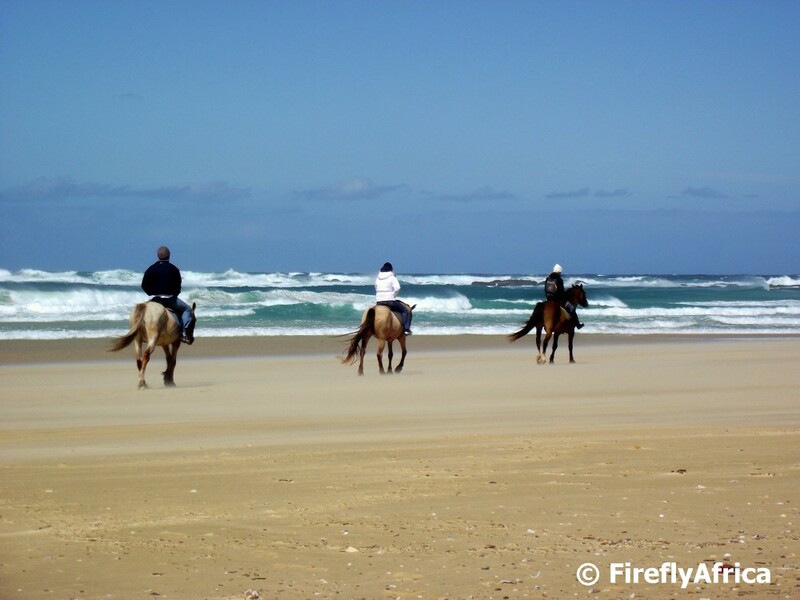 The Sardinia Bay area is home to many horses, some often being ridden down to the beach for a trot and a gallop on the sand. These three turned back fairly quickly due to a howler of a southerly wind. I did wish I could go for a ride on the beach with them. Haven't done that in ages. 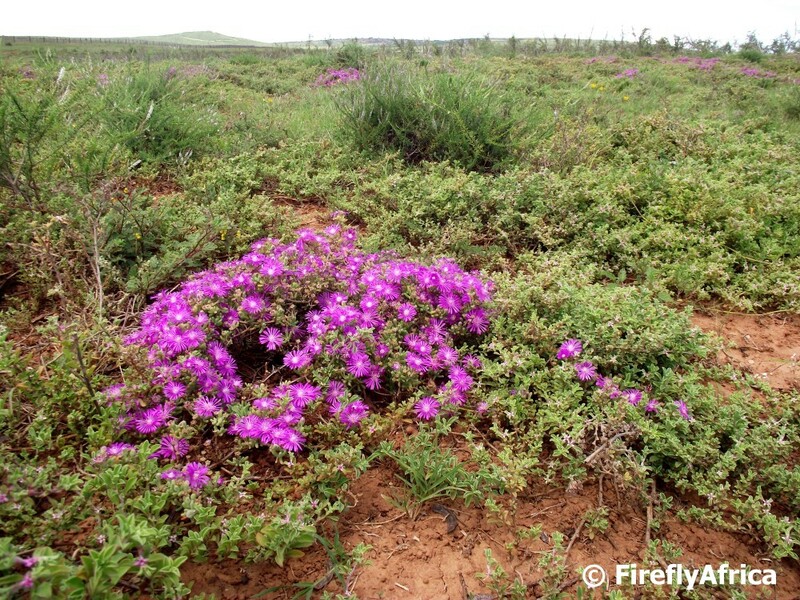 If you want to see different fynbos species and beautiful proteas in flower the Van Stadens Wildflower Reserve is probably one of the best places close to Port Elizabeth to do so. 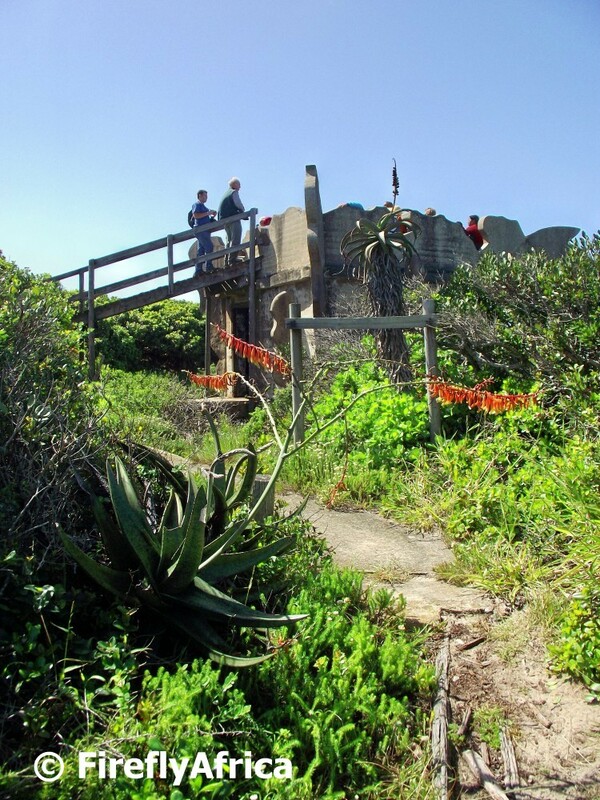 But the reserve isn't just about flowers, its also about other vegetation, birds, insects plus you get a great view of the Van Stadens Bridge from one of the lookout points. Port Elizabeth has a number of restaurants with great sea views, one of the Barnacles in Seaview. The view from the deck at Barnacles overlook the rugged coastline and you often spot whales (in season) and dolphins going by. 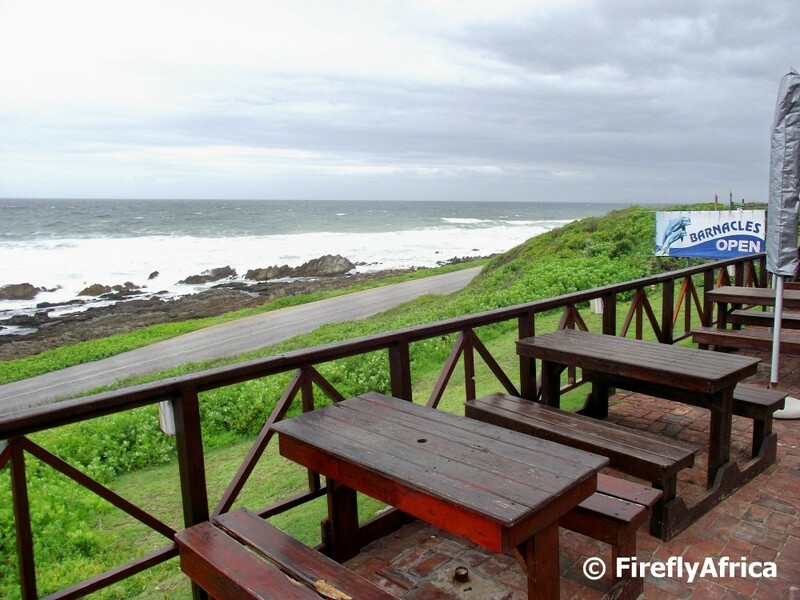 My visit unfortunately coincided with a cold front so it wasn't ideal weather to sit outside and enjoy the scenery.